Vacation House Plans should, above all, allow you to enjoy yourself and relax. 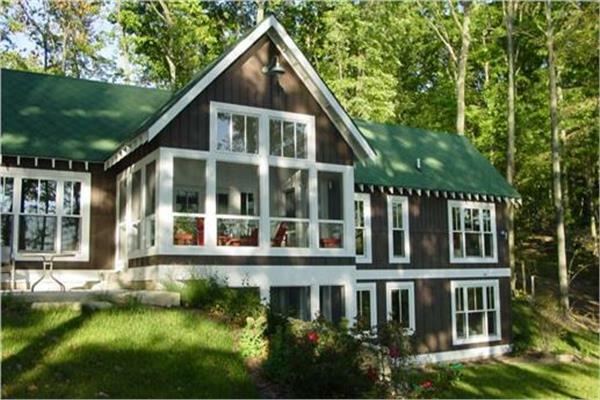 The home plan you choose may be a small cabin, a mountain house with a steep roof, or a coastal or beachfront house. These house plans are popular for vacation homes, getaway homes, or weekend retreats. They may be found near a lake, in the woods, or on a beach. They will usually have a large porch in the front and/or rear – often wraparound – for relaxing, grilling, and taking in the view, as well as large windows, again to take advantage of views likely to be in your vacation spot location. An open floor plan is conducive to enjoying friends and family, and a fireplace or wood stove will allow you to past a restful, cozy evening during the cold months.